State officials say work to improve pump stations which remove water from Route 35 during storms will continue through the fall. The state Department of Transportation began looking into the functionality of the pump stations after a malfunction this summer caused the pump at 8th Street in Seaside Park to run continuously. 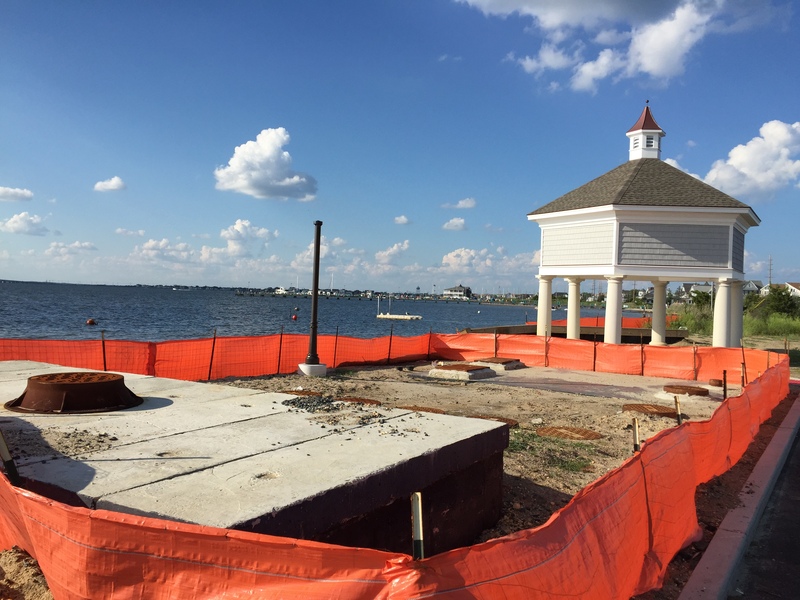 Combined with this summer’s lack of rainfall and apparently groundwater intrusion into the pump system, a silt plume was created in Barnegat Bay, leading to water discoloration and the monitoring of bay water in Seaside Park for bacteria. According to state officials, crews have nearly completed cleaning silt from drainage pipes and the pump stations in Seaside Park, Seaside Heights and South Seaside Park. As part of the ongoing work to complete the project, crews are continuing to apply hydraulic cement to prevent water infiltration and ensure the system is sealed. Temporary grates at certain inlet locations near pump stations will be replaced with manhole covers. The DOT will be excavating at all of the system’s pump stations in order to make adjustments, said Jamie Fox, New Jersey Transportation Commissioner. The installation of final landscaping at all of the pump stations will coincide with the adjustments, which are expected to be completed by the end of the fall, Fox said. Additionally, the state has said crews will place concrete and stone near the terminus of outfall pipes in Barnegat Bay in order to avoid water flowing from the pipes to disturb the bay bottom which could lead to another plume of silt to appear. The pump stations have proven controversial. Environmentalists have complained that the pumps propel runoff into the bay, while state officials have countered that 75 filtration systems have been outfitted to remove contaminants before stormwater reaches the bay.